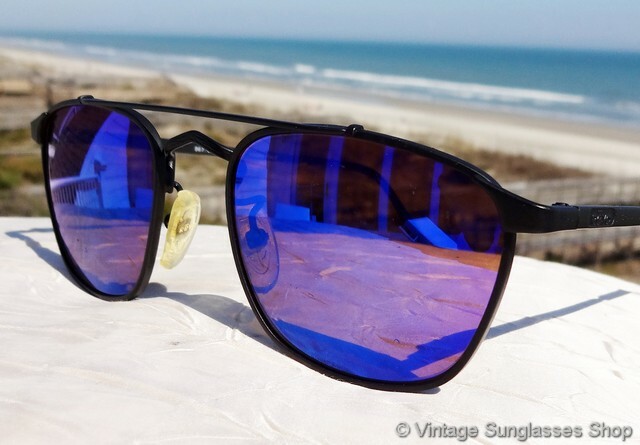 1 Vintage Revo 967 001 Advanced Metal Square blue mirror sunglasses are a unique Revo interpretation of classic aviator sunglasses but with the kind of flair only made possible by vintage Revo design and mirrored lenses. 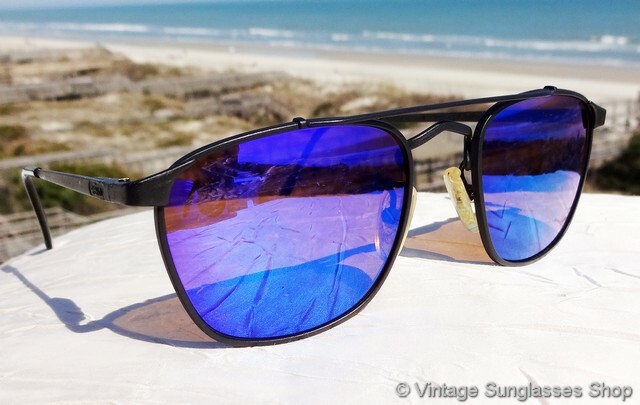 The matte black Revo 967 frame looks great with Revo's highly reflective blue mirror lenses, and there are several subtle design features including the sharp upward curve of the bottom nose bridge and Revo logo impressed in the metal of both ear stems near the spring loaded hinges. 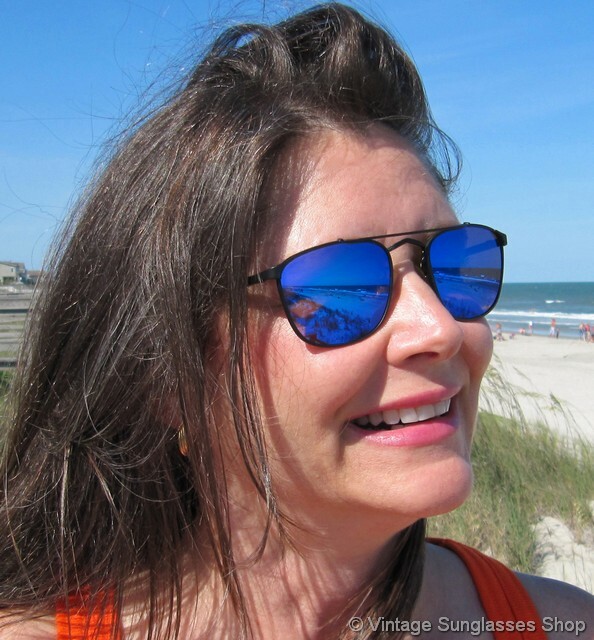 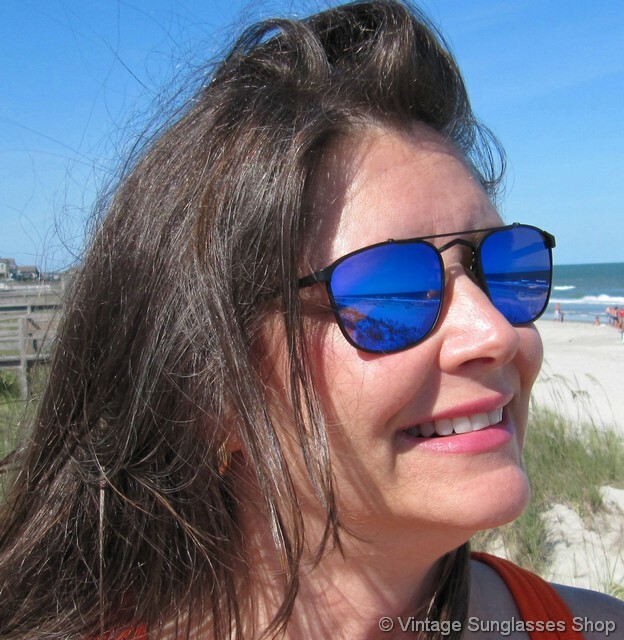 The unisex frame measures approximately 5.25" temple to temple, and the blue mirrored lenses measure approximately 2.0" x 1.675" at the widest points. 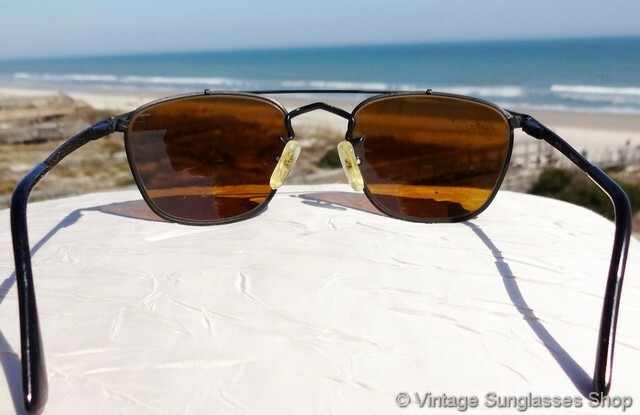 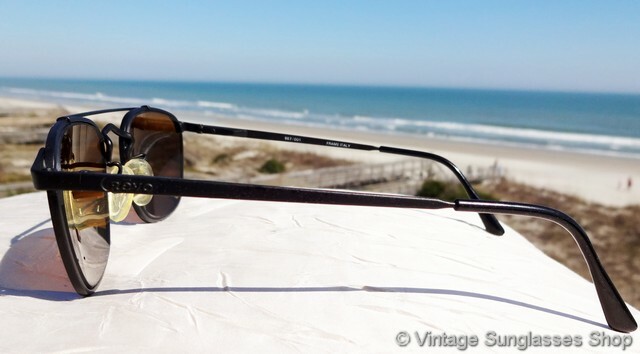 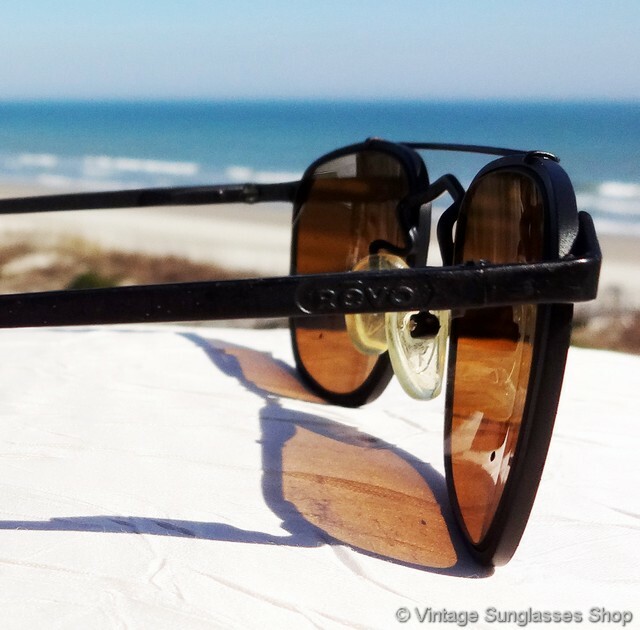 The inside of one ear stem is marked CE 967 001 Frame Italy, part of a Chicago, IL collection of fine vintage Revo sunglasses from the 1980s and 1990s. 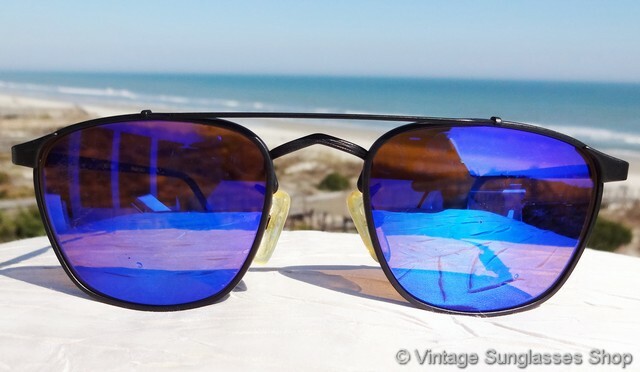 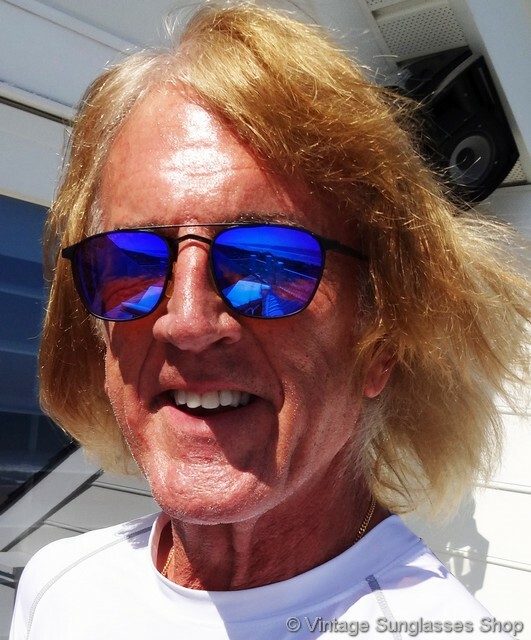 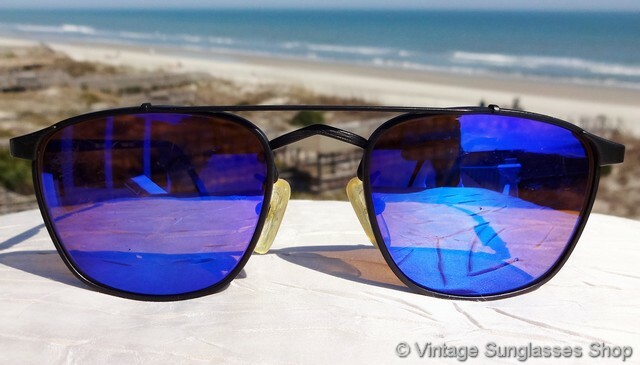 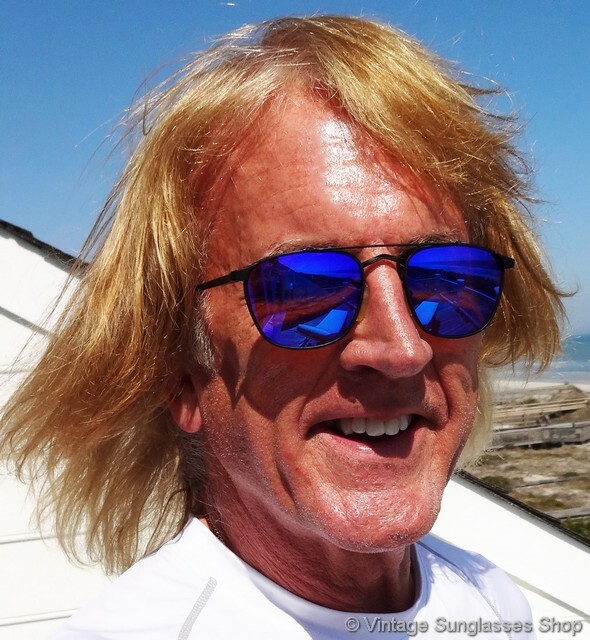 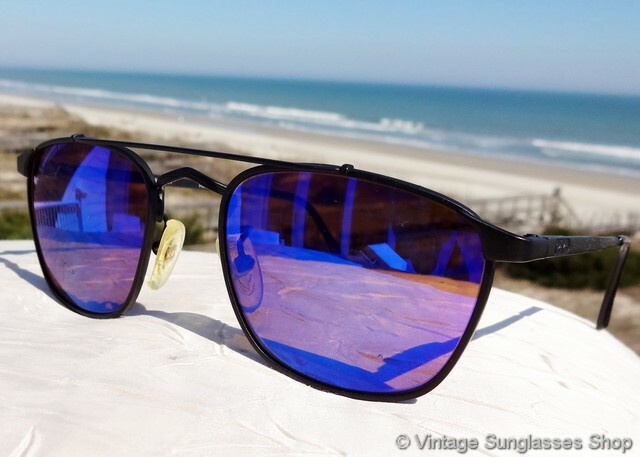 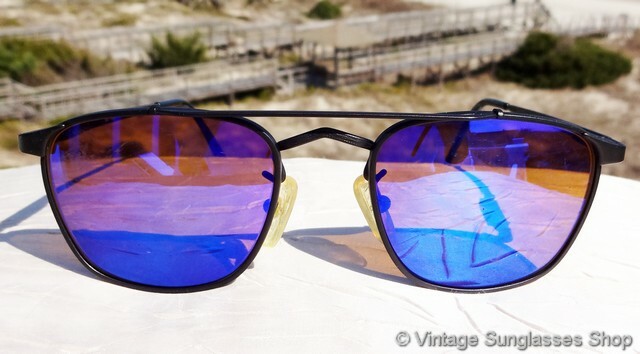 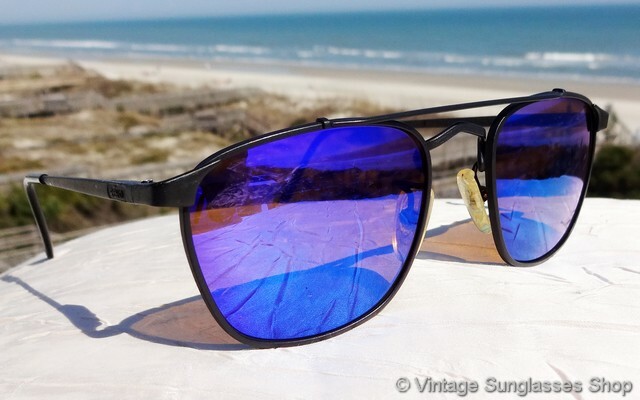 2 Step up another level beyond our already unequaled vintage condition standards with new old stock Revo 967 001 Advanced Metal Square blue mirror sunglasses in mint, unworn condition.